Why Brian McLaren in particular? Who is Brian McLaren?... Short Bio. Over the years, I have heard, or read, people commenting (complaining?) on how long some of my articles are... which is often true. Unfortunately, there is absolutely nothing that can be done about this. In the case of extremely dangerous, false teachers like Brian McLaren, who are not only prolific authors, but who's baloney permeates almost every page of their books, it would take at least two volumes to thoroughly, and Biblically, refute one of theirs, which would be an impossible task. Besides which, in my opinion, too many critiques simply point to false statements on the assumption that the reader is aware of what the Bible says on the topic. However, at a time when Biblical literacy is at an all time low, I'd rather not assume that this is the case, especially since rank heresy is often delivered well sprinkled with Biblical verses, carefully chosen to make it appear that that the teaching is Biblical. I therefore prefer a thorough, point-by-point, rebuttal which means I have included as many of the relevant Bible verses as possible which takes a great deal of time, research, and words. I may be a simpleton, but I couldn't care less about theoretical or abstract ideas and debates. Since, when it comes to the spiritual, all the isms, what ifs and I imagine in the world are of little value, therefore of no interest to me. All I am care about is whether a persons teachings are in agreement with, or deviate from, what the Bible teaches. In any case, anyone who is willing to read book, after book, after book, by Brian McLaren and others of the same, or similar, mind , has little room to complain about the length of a Biblical rebuttal. 5) The book of Revelation was not written about the (then) distant future, but was the first century way of talking about the challenges faced by the early church. ie. The Roman Empire. 7) Salvation emphatically does not automatically mean "save from hell" or "give eternal life after death"
8) Christians have been "brainwashed" to read Genesis through Greco-Roman bifocals, but "these stories aren't intended to be taken literally"
Each of the sections can probably be read as a stand-alone. However, they are all intrinsically linked. None of them are meant to be light reading, but an in depth comparison of McLaren's primary tenets with what the Bible teaches. In other words, here is what McLaren says, and this is what the Bible says. Since there is absolutely no agreement between them, it is entirely your decision as to which of the two you are going to believe. If, after this, the reader is still not convinced that McLaren is one of the very dangerous wolves that Paul warned the church about, then I am not sure that any more can be humanly said or done. Why Brian McLaren in Particular? 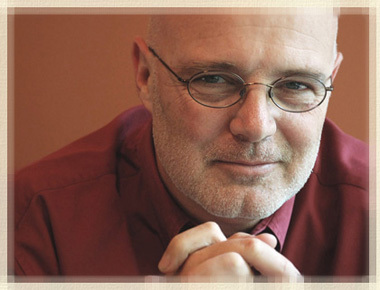 Brian McLaren, born in 1956, is a prominent Christian pastor, author, and speaker. He taught college English From 1978 to 1986, after which he became founding pastor of Cedar Ridge Community Church in Spencerville, Maryland. In fact, during his tenure, Cedar Ridge Community Church became well known as an 'emerging church'. In 2004, McLaren was awarded an honorary Doctor of Divinity from the Carey Theological Seminary in Vancouver, British Columbia. He calls himself a "middle-aged, bald introvert with a small Buddha belly, and without proper credentials" (1). According to his website, he is "primarily known as a thinker and writer"
A frequent guest on television, radio, and news media programs, he has appeared on Larry King Live, Nightline, and Religion and Ethics Newsweekly. His work has also been covered in Time (where he was listed as one of American's 25 most influential evangelicals), Christianity Today, Christian Century, the Washington Post, Huffington Post, and many other print media. So who is this very "influential evangelical"? ... A true shepherd of Christ, or yet another of the wolves that the Bible so clearly warns us about. Warnings that, by the way, have gone unheeded by far too many Christians who, apparently, have not understood what the words "deception" and deceive" mean, therefore, rarely seem to realize that not only can they themselves can have the wool pulled over their eyes, but their favorite spiritual leader/pastor/author may be quite different from the image they present. Sadly, a very gullible community rarely, if ever, bothers to take into consideration 'the whole counsel of God' and thoroughly investigate other passages in Scripture that may disagree with, or even completely contradict what is being claimed. Instead, as long as it sounds reasonable, and said spiritual leader/pastor/author can pull out a few "proof texts", that appear to substantiate their theories, the hearer remains perfectly content. The end result being, that half baked, dangerous, ideas become not only accepted and embraced, but spread like a particularly deadly virus. Note: When it comes to the Bible, the word "interpret" means how a person understands, or explains, a particular verse or passage. However, all too often, people interpret something in Scripture, by reading their own ideas into it. Unless the original author was double minded (rendering him very unreliable and someone we can safely ignore), he could not have intended to convey more than one meaning. Therefore, "interpretation" should be strictly limited to the meaning that the original author intended to convey. And, since it is certain that the Bible does not contradict itself, we have to, as best we can, be certain that the Scriptures consistently teach a specific doctrine, not go off on a tangent based on a verse or two that has been wrested from it's immediate and broader context. Overview The "secret" message...isn't such a big "secret". The New Testament emphasis on doing good works to "the brethren". Do modern day Christians get it? Are God's coming kingdom and the second coming of Christ literal physical events, or are they to be seen in a 'spiritual' sense? What does the Bible say? The dual 'now' and 'then' message of the Kingdom. How McLaren redefines the word "Kingdom, the phrase "Eternal Life", and changes God's "will" to God's "dream" in order to 'prove' his points. The wrath Of God.The "amazingly subversive" Book Of Jonah. The justice and judgement of God. While there is no question that, as McLaren says.. Jesus will condemn and destroy evil, who or what, according to the Scriptures, is evil? Revelation...example of the "literature of the oppressed", territory of the lunatic fringe, or our only hope. Does God plan to "destroy creation"? God's promise to Abraham... who exactly would be "blessed"? Practicing what he preaches... Brian McLaren and Jewish leaders. Services done to "Tash".... unbelievers saved without explicit faith in Christ. Salvation. Does seeking salvation make a person "self-centered" and "narcissistic"? The Bible's conditions for entrance into the kingdom. Redefining repentance and the word "transgression". Demon worship. What's in a Name? What exactly Is a "Christian"? Did Gandhi seek "to follow the way of Christ"? The inclusiveness AND exclusiveness of Jesus. What determines one's 'status' in the Kingdom? The Pax Christi. Many shall come from the east, and from the west..
Is the Bible inerrant, infallible, absolute and authoritative, or are Christians resorting to the authority of extra Biblical words and concepts" to justify their own belief in the Bible's ultimate authority? Is the sole purpose of the Scriptures to equip God's people for good works. Seeing the Bible as narrative, does not mean forgetting the all-important meta-narrative. Genesis literal or "deep mythic language"? God A or God B? Re-writing and sanitizing the Message. Profane babbling. Brian McLaren, the New Age, and the antichrist. Ideas that blends harmoniously with New Age beliefs. McLaren and the "visionaries"
 Voices of the Emerging Church: The Wild Goose Festival 2011.